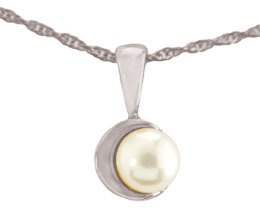 A Pearl Pendant is a classic addition to any woman’s wardrobe. A petite pendant with a feminine moon theme this piece fits well with the current trend of petite pendants. 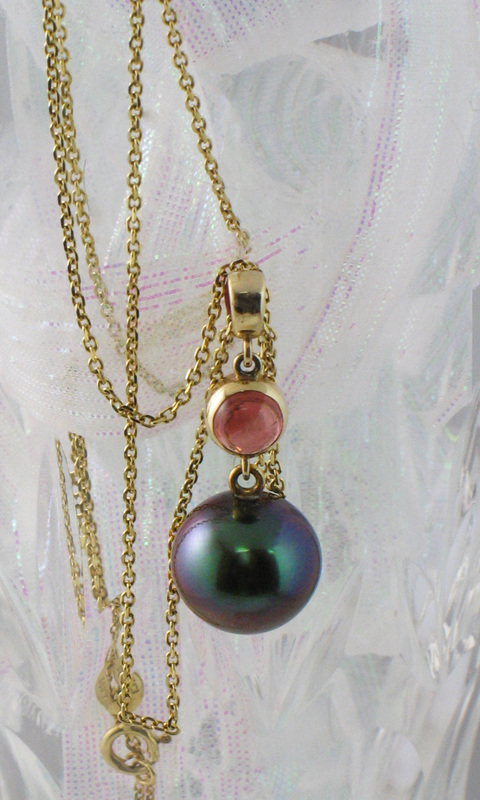 A single pearl is currently very fashionable and sometimes worn with other charms and pendants; a solo pearl is considered more casual than a full strand. This is a special order item and not currently available for viewing in store. Please allow an additional 4-6 weeks for delivery. Call or email us if you have any questions regarding this product. Offering a wide range of designs contemporary & classic, simple & ornate; The Touch takes pride in the fact that everything they sell is made by their team in a studio just outside of Boston, Massachusetts.